Health Foodies vs. The FDA - Hartke Is Online! The letter refers to the case of a Pennsylvania Dairy Farmer who was “inspected” by the FDA, and issued a citation warning him that interstate sales of raw milk are a violation of public health ordinances. Regulations such as these serve as barriers to consumers having access to a food that is legal in all 50 states to consume. Yet, by targeting the producers with restrictions, the government can and does enact bans that not only affect farmers, but the consumers that depend on them. I called the mother who was in tears over fear of losing her raw milk provider. Mary (not her real name) sought raw milk after reading of its benefits in the book Real Food by Nina Planck. A nutrition educator by training, she did tons of research on raw milk before deciding to try it. After delving into both the pros and cons, Mary wanted to at least give farm fresh, unprocessed, whole milk a try. Mary wanted her growing daughter to have the nutritional advantages she discovered in her research. Mary, too, had struggled with tooth decay all her life, and felt the fresh milk might offer her some much needed help. After switching to raw milk, she also realized that her lifelong experience of digestive distress, (which she just assumed was normal) was caused by pasteurized milk. Mary was nursing her daughter at the time she transitioned to fresh milk. She now suspects her low-fat diet while pregnant may have rendered her breast milk less nutritious. Upon switching to raw milk, Mary noticed her baby thriving, and her hair suddenly starting to grow. Liz Reitzig is a food activist in her state of Maryland. She has a similar experience of the government getting between her and her food of choice. At one time, because her daughter couldn’t tolerate pasteurized milk, Liz bought a cowshare to secure fresh milk for her family. Then, the state authorities ruled cowshares an illegal activity. Now Liz has resorted to going to neighboring Pennsylvania to keep raw dairy in her refrigerator. And, she works tirelessly for the legalization of raw milk in Maryland. When citizens are no longer free to drink the milk of their choice, but must be forced by law to choose only commodity milk products produced by monopoly resellers, something must be done. Please join the Farm-to-Consumer Legal Defense Fund, today. Help us fight for our God given freedoms. The health of the children depends on it. 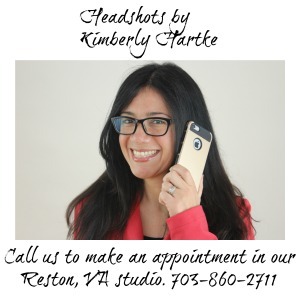 Kimberly Hartke is the publicist for Weston A. Price Foundation and its Campaign for Real Milk. This is very close to my heart as I have heard of the farmer in question. We were told that he did not have a raw milk license and that was the reason for the raid, not that selling milk across state lines was illegal. I am glad to have this clarified from your information, but also wanted to say that groups like this do not purchase milk from the dairy across state lines. They purchase milk on the farm through a driver who then transports it. The different semantics make it legal. Thanks so much for drawing attention to this very serious issue. .-= Alex@amoderatelife´s last blog ..Guest Post! Healthy eating on a budget! =-. Thanks for taking the time to post such important information! I really enjoy your blog. .-= shari´s last blog ..Supplies =-. I am so saddened to hear this. I live in N. GA and cannot find a raw milk producer within a 30 mile radius of me. It’s only legal for pet consumption. As a nursing mother, I am highly concerned with the quality of my milk and know raw milk would be a great advantage to my little one. If anyone has suggestions for N. GA cow/goat milk producers, please let me know! I have also written my state senator and hope to secure a meeting with him to discuss food rights.